Marketers today are stretched pretty thin, charged with maintaining the face of your brands both online and off. And increasingly, you’re being asked to do more with less. 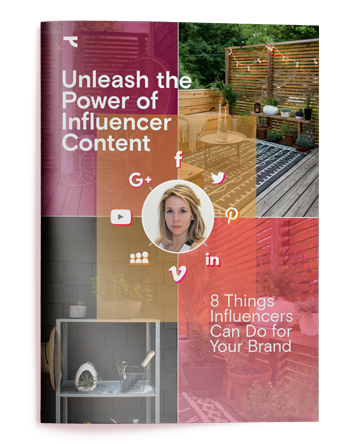 This eBook discusses 8 ways influencers can lighten your load. Download your copy to learn how to optimize your influencer programs to create upward-trending success in the long run. Delivering the valuable content that consumers crave requires an authentic, organic, dedicated voice that leverages the reputations and experience of the people your consumers trust. Digital influencers—those with loyal audiences on blogs, Facebook, Twitter, Pinterest, Instagram, and YouTube are a key source of great consumer content. Your mission? Find the influencers who fit your marketing objectives and use them to create stronger relationships with your customers.